You thought you had found a peaceful farm to spend the night at. But all is not as it seems: the farmer’s son has been missing for 5 days! The young fool went seeking fame and fortune in an ancient barrow mound. In this adventure your players are tasked with finding and rescuing a missing sage and, if possible, completing his final quest and recovering the lost treasures he was seeking in an ancient barrow mound. Inside the barrow mound your players will face a host the vampire court of a long dead kingdom, and all their undead and demonic minions! It’s up to them to stop these evil beings from breaking free and laying waste to the countryside. So sharpen those stakes and pull out the garlic, it’s time for some vampire hunting! This supplement contains a completely original ONE SHOT adventure, fully detailed and ready for immediate use with very little preparation by the GM or the players! Inside you will find great Old-school art and a detailed isometric map, with keyed encounters for each area. This module also includes a fully detailed map of the nation of Dun Bhriste, done in the Old School style, with information for further exploration. A quick night of role-playing fun right at your fingertips! This module also provides wonderful background information and additional areas for adventure for those GM’s setting their campaigns in the author’s ever expanding campaign world, which now comprises four different kingdoms: Jarlburgh, Alderburgh, The Red Eagle Barony, and Dùn Bhriste. This adventure takes place in the woods near the Dubh Glas farm, which is located near the farming village of Clachan Fial, in the author’s campaign world. Clachan Fial is a medium sized village which lies just south of the well traveled trade route between Dùn Bhriste, this region’s capitol city, and Baile Átha Quinith, the capital of the neighboring nation of The Red Eagle Barony. It is the setting for the Starry Knight Press module S02 Clash at Fort Valour and the adventure Lair of the Toad, in supplement SR1 Zero Level Player Rules. 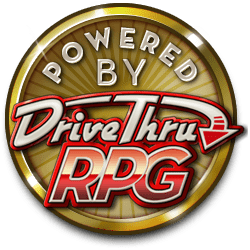 (all of which are available for purchase on DriveThruRPG). This book features 28 pages of excitement and thrills, with players facing a horde of blood sucking vamps, and it is sure to please discerning GMs and players everywhere! This title was added to our catalog on February 07, 2018.